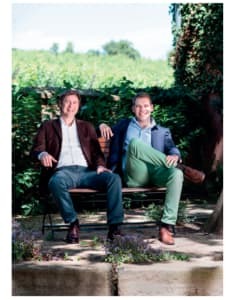 Humble Grape is an independent wine-merchant based in London. Since 2009, they’ve been seeking out handcrafted wines from relatively unknown vineyards around the world. They directly import their wines, avoiding extra margins for agents and distributors. And because they’re made with loving care, most of their wines, intentionally or otherwise are biodynamic, organic or sustainably produced. There are currently three Humble Grape wine bars and shops, one in Battersea, one in Islington and one just off Fleet Street in Central London. Wines can be bought by the glass or bottle to drink-in (accompanied by food) or by the bottle or case to takeaway. They will be opening a further site in Central London too.